SUNSHINE:For all things Real Estate and community affairs, I count on George Fotion. I have known George for nine years. He has answered so many questions and contributed information for so many projects like trails preservation and a neighborhood directory that I was delighted to finally get to pay him a commission. He more than earned every penny of it. A good life is a matter of teamwork. Even if you are not in the “market” this minute, things change. Having George on my team has gotten me through some challenging situations. If you live on the Palos Verdes Peninsula or think you would like to live here, George is the person to befriend, NOW. George Fotion was a pro from beginning to end of our realty experience. We had an extremely complex case that required an attorney and took a couple of years before we had the green light to sell. As soon as we were cleared to put the house up for sale, George got it done, even though there were still legal challenges. I would recommend George F to anyone. George sold our home in less than 24 hours after going live on MLS, and easily managed a 16 day close. His expertise and knowledge helped us prepare our home, and ourselves, for a quick full priced sale! We can’t wait to work with him again when we find our next home! We LOVE George! He has been our real estate agent for more than a decade, representing our biggest rental property. He has done an amazing job with keeping our property rented, consistently, and with great renters. In the very RARE moments that we had an issue with a tenant, George has done an excellent job facilitating the discussion that always led to a successful outcome.He is also incredibly delightful to work with! He’s funny, lighthearted, and just wonderful While easygoing, he makes the magic happen. Words aren’t really sufficient to describe George Fotion….honesty, integrity, enthusiasm, a great personality, attention to detail and proficient in every aspect of real estate are just a few of his many positive qualities . As trustee for my parents estate, I was faced with the daunting task of selling our family home of 68 years. I had 3 siblings to consult with, had never sold a house or dealt with a realtor before, and I live on the other side of the country. Thankfully one of my moms dearest friends happens to be George’s wife…and that is how George became our realtor. It was definitely Divine direction. George kindly and patiently walked me through the whole process of house selling, from beginning to end, with an added measure of emotional support to help with ‘letting go’ of our beloved home. His immense knowledge and expertise in real estate in the Rancho Palos Verdes area, including Portuguese Bend, played a huge part in making the process as smooth and easy as possible for us. From our first meeting together, and all the way through listing and closing, George was always available and was in constant contact via text, phone and email. His marketing skills are unsurpassed, as can be seen from his excellent use of media….featuring the house with high quality pictures, an expertly produced video, and of course his descriptive writing skills. George took care of everything that needed to be done, including providing qualified and skilled trades people to prepare the house, all of whom were top notch in their respective fields. The house sold quickly and Escrow closed early. Many, many thanks to you George! If you are selling or buying a house in the area, you need look no further…George Fotion is the man! George Fotion and I went to high school together and have been keeping in touch through Facebook. When it came to selling my parents’ home in Palos Verdes, he was the obvious person to call. He was sensitive and understanding of their feelings about selling their home after almost 50 years there. George is a true professional in real estate and can easily represent both the buyer and seller without bias. His knowledge of pricing and real estate in the Palos Verdes area cannot be surpassed. The house sold in only 2 days because it was well priced and because George knew his potential buyers well. I highly recommend him for his knowledge, sensitivity, precision, organizational skills, knowledge of real estate and overall great personality. 6/10/2018 If we could, we would give George more than 5 stars. From start to finish, George was extremely professional and hard-working. He always kept us informed of the process and was always available to us 24/7. We were lucky enough to have received multiple offers on our Palos Verdes home and George was able to work with all the other realtors in order to achieve the best possible price for our home. We highly recommend George! George helped me sell my parents’ home in RPV after my dad passed. As a trustee and an out-of-state seller, I appreciated the fact that George took care of everything that needed to be done, including a lot of little details that I wouldn’t have thought of. George provides a high level of service that is uncommon these days — everything was always done at my convenience, not his, and while I’m sure he had other clients during our sale, I always felt that I was the only one. We ended up with multiple offers and George handled everything very fairly and ethically. The process was smooth and the outcome was beyond our expectations. I highly recommend him! I “met” George on Facebook a few years ago. I always enjoyed his posts, adding a bit of levity to what could be an otherwise dry topic. I have asked him questions over the years about real estate, and he has always answered them, even though he was under no obligation to do so. Fast forward to today, and I am thrilled to say he accomplished exactly what he said he would in an extremely timely manner, 22 days to be exact! He sold the house we’ve been living in for 27 years, and he did it without any problems at all. In fact, he has this business down to a science! Every time I bring up his name, it is met with accolades of one type or another. He has a reputation on the Hill that rivals no other. I would highly recommend him for any of your real estate needs! After doing some research, I choose George to sell our family home in Palos Verdes that we had lived in since 1964. The best possible choice I could have made. I thought we knew Palos Verdes after 50 years of residency. He knew the community, the city, the neighborhood and even our street from his own vast experience on the hill. He is extremely tech savvy. His marketing plan was perfect. He was amazingly responsive. He consistently went the extra mile and the results were fabulous. I have done 4 transactions with George. He really knows Palos Verdes Estates, but he also really understands buyers/sellers/the market/negotiation and is very resourceful. In our most recent transaction, i was very controlling, and he not only accommodated me, but we collaborated frequently on how to make this the best possible experience for everyone. It was a near perfect transaction. I am a happy seller, and my buyers are super happy, too. I took my time finding a good realtor to represent my parent’s property for sale. Several agents came through the house and I found them all knowledgeable and agreeable. However, George Fotion, along with decades of sales history in the area, had the best grasp of computer technology and I knew he was the man for the job as so many use the web in their search for a home. George guided the sale smoothly from needed (but not superfluous) repairs through a well paced negotiation that resulted in a speedy and very satisfying sale of the property. George knows his stuff! George is a very knowledgeable real estate agent for the Palos Verdes homes area. He has connections to many resources to help make the process smoother due to his experience in the industry. He provides market data and other tools that were not used by other agents which are very helpful such as: market trends and value metrics for Palos Verdes homes. George guided us through with his expertise and also added his brilliant sense of humor, which is well needed in this competitive market landscape. George did an amazing job selling our home. He projected a timeline for the sale of the property, and everything came together exactly as he predicted. George’s knowledge about achieving the best outcome gave us a great deal of confidence throughout the selling process. My husband and I could not be more pleased at the results we received. We highly recommend George to anyone needing a real estate expert. And he’s a really nice guy, too! We are more than pleased with the complete process of selling our home of 52 years, in Rancho Palos Verdes with George Fotion at the helm. From start to finish George listened to our requirements and made them happen. From our point of view, the sale was flawless, and smooth as glass. He had numerous good offers within a few days of listing, we chose our buyer, and every deadline was met. This man worked harder for us than we expected and went beyond anything we could have imagined. We recommend, George Fotion with complete and total confidence when you need any real estate tasks done on your Palos Verdes home. When we got stuck in a remodel from hell situation we decided to just sell or home and not deal with the hassle. The remodel was already way over budget and a year over schedule causing much financial stress and pressure for my young family. George Fotion stepped up in this most difficult situation and listed our home in Lunada Bay, Palos Verdes Estates. He marketed and SOLD our home when it was demolished to the studs! There was only a shell of a house with beautiful new windows and approved plans from the Art Jury. George not only listed our property he SOLD it in less than 30 days. His knowledge of the market is second to none. He has the networks in place to take on challenging opportunities and execute! I cannot say enough great things about this man! Review by Jennifer H: 8/20/2016 George has just helped our family sold our property ABOVE asking price in a slow season! Because of unexpected event happened our property went on market when the slow season in Palos Verdes area started. Two weeks before our property listed in MLS, I checked Zillow and found a nearby house was on the market for over 20 days and had reduced its asking price. So, I was worried that our original asking price wasn’t competitive in the current market. But, due to one of the family members is bound by probate court requirement, we had to stick to our original price. Somehow, with George’s marketing magic we got offers within a week after the property put on the market. Of course “magic” is just the word I use to describe how my family felt for the deal closed so fast and smooth. Behind the scenes are Geroge’s years of experience in the real estate market, up-to-date technical skill to quickly navigate current market situation, and hard working. If you are planning to put your property on the market, you should seriously consider have George represent you. George Fotion is dedicated. He helped us sell our home of 18 years and buy the home of our dreams. His experience and wisdom made both of our transactions run smoothly and without any delay. At every step he was professional, courteous, creative, honest, patient and savvy. His level of customer service was amazing. He is always ready to talk. Plus, his enthusiasm and gentle humor made the challenging moments bearable. In short, I would recommend him to anyone especially, if you want the true facts about the market and a realtor who will work tirelessly for you. I would recommend George to my own mother! We are currently working with George Fotion on finding a new home. We met George while he was showing an Open House we visited. We immediately felt very comfortable with George – he is very warm, a good listener and easy to talk to. He let us tour the home on our own, which was our preference; however, he was there to thoroughly answer all of our questions. Customer service and great communication skills are just a few of the qualities that makes George so easy to work with. George is also extremely responsive. He responds to our questions (texts/emails) in record time even while on vacation (which is not typically expected) and even when we let him know the answer to our question can wait. George is also very tech savvy – (using a new program to us called e-sign) which saves so much time. Again, when “time” can be extremely important, whether it’s texting, emails, phone calls, etc. – you can always count on him. We can honestly say, if you’re looking into buying or selling property in the South Bay area, you should give George Fotion a call. 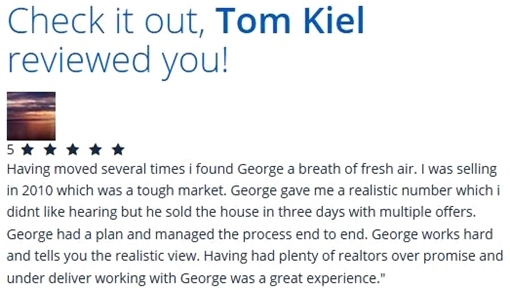 Thanks George – we are looking forward to definitely find our “dream home” with you! I would highly recommend George Fotion with Call Realty for your home real estate transaction needs. George recently represented my wife and I in the successful sale of our townhouse and is now assisting us in the purchase of a single family home. In representing us on the seller side, George did a wonderful job of marketing the property and getting the word out, first with a professional photo shoot and drone video flyover, then posting this information extensively on various RE web sites as well as the MLS. We believe George’s impressive marketing strategy and connections with the local realty community were the main reasons we received and accepted a competitive offer so soon after listing. The escrow process went smoothly and we closed the sale basically on time without any significant issues. On the buyer side, George has provided us with prompt, notifications as properties have been listed on the market, allowing us to quickly review the information and determine if the property met our needs. This is important in today’s “seller” market, where desirable properties receive quick attention and multiple offers. With George’s help in crafting and presenting a competitive offer, we are now we are now in the escrow process and anticipate a successful closing soon. Thank you George!! 06/13/2015 – fmcourey Sold a Single Family home in 2015 for approximately $2.325M. George was my sellers representative for a sale of a home in a trust for which I serve as trustee. He worked with my attorney and accountant for the trust as well as the beneficiaries with honesty and expertise. I have never sold a home before and I had to act in the best interest of the trust and the beneficiaries. George walked me through the complicated process of the sale and through his marketing skills brought the best offer possible to the table and we closed quickly and far above my expectations regarding the final offer. I highly recommend George with enthusiasm for all of your real estate needs! Peter Pettler reviewed George Fotion 06/15/2015 George Fotion of Call realty did an outstanding job. I am an attorney. The seller was the trustee of a trust. Such a sale is different than a standard sale of residential realty. George did all of his homework, did everything correctly, and involved me as necessary so that I could do my job properly. I was very impressed with his marketing strategy and organization in approaching the sale. I am sure that we received the highest possible price through his efforts. George is an amazing agent. He not only helped me sell my home, I bought a home from him as well. 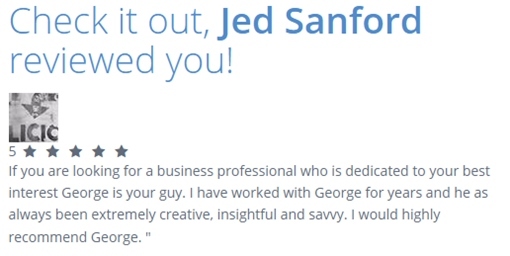 It was obvious from the start that George is very experienced and knowledgeable about the South Bay area. First: George helped me buy a home. He provided ample information about the sellers to help me set my expectations and helped me construct an reasonable offer. He answered all my questions about the property and explained everything to the fullest. I couldn’t have been happier with my buying experience. Second: I was so confident and happy with George’s expertise and service that I kept him as my selling agent of my home. He did a thorough market analysis, provided me with visibility into every step in his process, and helped me formulate a offer price. He brought in a professional photographer (at his cost) and literally transformed our house with the staging and pictures. Our house sold within 1 week and I’m 100% sure it was due to George’s efforts. He stayed proactive throughout both processes and had right amount of “push” when needed. He still keeps in touch and I think of George as a resource that I can go to in the future if I ever need. He definitely exceeded my expectations to the fullest and would highly recommend him to anyone looking to buy or sell their home. My experience with George was fantastic from start to finish. George has a deep understanding of the market and gave me great advice throughout the buying and selling process. I would strongly recommend George. George exemplifies the full measure of professionalism. His thoughtful and masterful approach recently helped our family secure our dream home in Palos Verdes. His guidance, coaching and advice has truly made it an incredibly rewarding, enjoyable, and happy memory for us. He will always hold a special place in our hearts and in our home. Do yourself a favor and give him a call without hesitation. Carole Maggio reviewed George Fotion 5/25/2015 Helped me sell a home. George was very pro active in representing my property. He called various agents to promote my condo and get them excited to show my ocean front condo. Once in escrow he made sure the selling agent and escrow company were on top of the terms in the contract so that there weren’t any issues in closing the escrow on time. He also is very fun to work with when selling can be a stressful time. Made me laugh thru a few offers. George is what I would describe as a consummate professional. He really knows his local real estate market and has great knowledge of the entire real estate transaction. This expertise really comes into play when negotiating on behalf of his clients. If you are looking to buy/sell real estate in southern California, I would strongly recommend giving George a call if you are wanting the best terms with the least red tape. He loves going the extra mile to create a client for life. I always look forward to doing business with George! Glen Tomkiewicz reviewed George Fotion 04/30/2015 Helped me sell a home George not only sold our home but also helped bought our new home. George continuously updated us on our area market we were selling as well as where we wanted to buy. This info gave us the the confidence to move forward and make the best deals. George is has the market wired and is one of those guys that listens to your wants & needs. He is your “Go To Guy”. I have renovated and sold 43 properties over the last 10 years. This transaction was by far the absolute smoothest ever. George started out with an incredible amount of real estate knowledge and a superb execution of marketing (online and off) – but the real talent lies in his people skills. He understands how to talk to buyers and sellers to get the finest results as quickly as possible. His feedback is neutral (he is not thinking of himself) and extremely fair. His is unbelievably honest and generous too. Here are the results of my listing with him: 1. He met with me and gave me detailed information about the area, value and type of buyer that we could attract. 2. He advised me NOT TO SPEND A PENNY renovating the home for sale (this saved me $30,000+) 3. He marketed the listing “offline” for a week before officially listing it. 4. He contacted people that he knows and generated buzz. 5. By the time the he listed the property we got MULTIPLE OFFERS IMMEDIATELY. 6. We had it off in the market in less than two weeks with a $1,150,000 sales price (listed for $1,200,000) 7. Both the buyer and seller were left with feeling great about this transaction. The house was sold in under 5 weeks!!!! He advises, responds quickly and delivers. He is truly an amazing real estate agent. Sold a Single Family home in 2014 in Rancho Palos Verdes, CA. George provided guidance and expertise all along the way.. His in depth marketing analysis and straight talk were very helpful in determining the list price for our property. His follow up was prompt and the professionals he brought along in the process ( photographer, home inspector) etc were of the highest quality. I would recommend George’s services to anybody with real estate needs in the South Bay of Los Angeles. George Fotion is the consummate real estate pro. He is knowledgeable, experienced, organized, detail-oriented and a gentle, but firm, advocate for his clients. He is also a skilled “explainer” and guides the client through what can be a complex, confusing and illogical process. But best of all, he is a really nice person and fun to work with. Whether buyer or seller, if you choose George to represent your interests, you will be working with a real estate professional who is second to none. George shows a higher level of professionalism and respect for his field and the parties involved in it than I have encountered in all of my many many experiences with many many other real estate “professionals” over multiple transactions in multiple states. George has an uncommon expertise in knowing not only the geographic area of his focus, but most of the people in it, their histories, and what will be happening before others have a clue, as well of course as the macro trends, and all the ins and outs and intricacies involved in these transactions. From the outset George was extremely responsive, while not once overstepping any boundaries. He provided detailed FACTUAL information relevant to the decision making process, as well as expertise that only years of learning and experience can provide. It was a true pleasure working with George as he actually both cared to help us find the home we sought and WORKED to make sure we got what we were after. Sold a Single Family home in 2013 in Rancho Palos Verdes, CA. George outlined his approach to the selling process in a one hour meeting. It became clear that he full understood the need for a web based approach and he showed several examples of how he had successfully used that previously. We settled on the asking price quickly based on the existing market along with thoughts on the near term future potential. George coordinated all the future activities including the photographer. the pest control and home inspectors and the broker’s open house which was well attended (>100 realtors). Several brokers brought their clients with them to the broker’s open house and one of them made a full price offer that day which we accepted. The escrow was also seamless even though the buyer’s were from out of the country and both the Thanksgiving and Christmas Holidays intervened. We have bought and sold 10+ houses and this was by far the easiest process in large part due to George and to a lesser extent the electronic signing process. I have known George for decades and strongly believe in his advice and his work ethic. My family has worked with George on many real estate issues and found him to not only be pro-active in all that he undertakes but also works with the highest integrity. He has done real estate sales, purchases and rentals for us with an engaging manner towards the buyer and the seller. 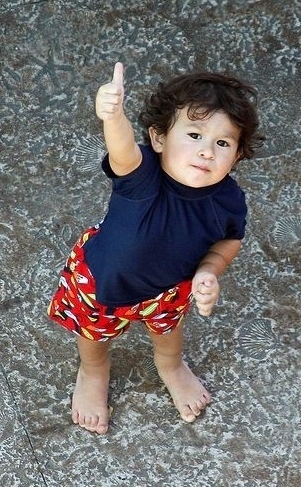 HE IS THE BEST!!! George was recommended to me 16 years ago when we bought our home in PVE. We found his familiarity and knowledge of the area to be quite impressive and his work ethic proved to be unsurpassed. His insight, wisdom and expertise during a complex transaction with multiple offers was the catalyst for us being the winning bid. George is dedicated to providing his clients with the best possible service. His quick email responses, positive attitude and the fact that he delivers what he promises is the reason we have used George multiple times. We highly recommend his services! Working with George was an absolute pleasure. I highly recommend him to anyone in need of a realtor. George is very knowledgeable, responsive and is not afraid to give you his genuine opinion. I can’t say enough how pleasantly surprised I was with our experience. It was George’s experienced that facilitated us being able to quickly move on a property we liked which was instrumental in us signing a purchase contract. George is the most expert real estate agent I have ever worked with. His mastery of the South Bay is surreal. George is completely fluent in the low-level contractual details of buying and selling which makes him an excellent advisor. He is super tech savvy which I am convinced help get us top dollar on a home sale. Most importantly, George is an absolute gentleman and wonderful to work with! Amir Desai Chief Technology Officer at Xerox Services I simply cannot recommend George’s services highly enough. He achieved amazing results with respect to the sale of our home in South Redondo without ever formally listing our house. Utilizing various social networks, online real estate sites and other high-tech means, George was able to generate substantial interest in our house, resulting in multiple offers and a sale price well above the appraised value of our home and one of the highest prices for the sale of a home on the Avenues in South Redondo (other than on the Esplanade) in the past several years. In a nutshell, George provides truly exceptional service with the type of personal attention and friendship rarely encountered in any service industry. If you are looking to sell your home in the South Bay, you should definitely speak to George. George Fotion was absolutely fabulous as our realtor! We couldn’t be more pleased and would most highly recommend George to anyone. He was masterful at finding us a home that met our requirements, in a very tough seller’s market, at the price we could afford. Added complexity in our case was that we were relocating from the East Coast and had to sell a home on that end while buying our new home in CA. George navigated that dynamic with ease. George’s recommendations were always on the mark; he was available 7 days a week at all hours of the day and night by text, phone, email, etc. ; and he knew and explained the CA real estate process perfectly. Most of all, we truly trusted George and knew that he always had our interests as buyer first and foremost in mind. Very very very well done and most highly recommended. Moving across country is an epic task! That being said, those logistical difficulties would only be exacerbated with the wrong agent. George redefined the term “customer service”! His in depth knowledge of the area aided us in making a confident and well informed decision and he stepped up to the plate in our absence to cover every detail from offer to close and beyond. If you’re considering moving to the area. I would highly recommend George Fotion as the only agent you’ll need to contact. Summary of their experience Over the past 7 years George Fotion has helped us buy 3 homes and sold 2 of our homes. If you are looking for a realtor in the South Bay, he’s the one you need. His knowledge of the area he serves and of his profession is very impressive, even fun to listen to. He is there for you almost anytime of day it seems and is very responsive to calls, emails and texts. There were many times late at night I’d think of almost absurd questions and I couldn’t help myself, I’d be texting or emailing George about them and he always came through so quickly. He’s very proud of what he does and the area he serves and it shows. He’s a great family man and he’s constantly reminding us he is here to serve. He treats us like we are family. 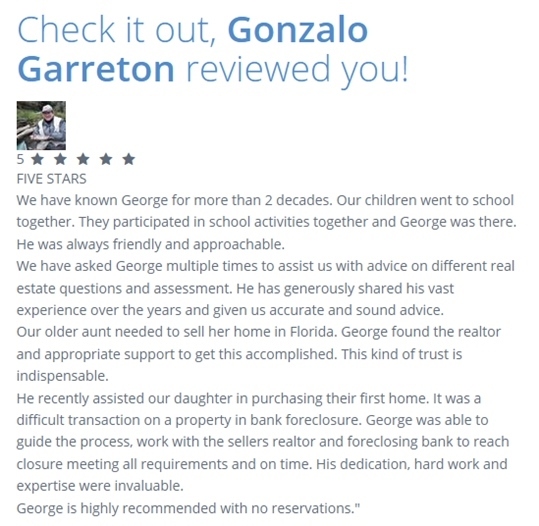 We wouldn’t choose any other realtor as long as George is serving! Bought a Single Family home in 2007 in Rancho Palos Verdes, CA. George knows the area, has top notch analytical skills, and extensive experience working with real estate through the up and down cycles of the economy. He is also well connected with local resources so is good for references. I would call him first. April 18, 2013 Most responsive, knowledgeable and caring realtor we´ve ever dealt with. Thanks George!We are picky buyers and want that perfect home. Pickings are slim but George is on top of everything that comes up. If we hear of opportunities not lisred from friends, George already knows about it and has all the info ready. He is not pushy and has endless resources for any questions you may have. He´s everything we wanted in a realtor.What were your next steps? April 20, 2013 was my agent in the sale of my propertyexcellant, highly recommended..makes you an active participate in the sale of your property…listens to you..doesn´t talk to or down to you…able to adapt to a changing market…home entered escrow after 2 weeks on the market…fast, smooth…What did the agent do to market your property? professional photos, recommended significant improvements…always busy obtaining leads for potential buyers…Did the agent help to make the transaction go smoothly? yes, always available 24/7Is there anything you wish George M Fotion did differently? My husband and I would highly recommend George Fotion to represent your Real Estate needs. He is extremely talented and professional. He was able to take a property with legal issues attached and turn it into a lucrative sale in under a year. THANK YOU GEORGE! e made the process simple and painless. Thanks George! Your dedication is superb! How likely are you to recommend George Fotion? Summary of their experience We had the pleasure of working with George about 10 years ago when he sold a property for us, and we were extremely pleased and impressed with him. That is why we decided to call him first when we decided to buy a home now. He is very knowledgeable of the market conditions, neighborhoods, negotiating skills and has excellent open communication. I would (and have) recommended him to friends who are, or will be, in the market to buy or sell. Sold a Single Family home in 2013 in Palos Verdes Estates, CA. We interviewed three highly recommended realtors before selecting George Fotion to sell our property in ‘Lower Lunada’ in Palos Verdes Estates. He had just the right combination of skill, knowledge, local understanding of property, laid-back, and tenacious. His insights in prepping our property were invaluable, and it was a pleasure having him as our representative. His photographer did an amazing job of showing our home to its best potential, truly amazing skills. We are so happy to have selected George, and would give him our highest recommendation. Sold a Single Family home in 2012 in Rolling Hills Estates, CA. after 3 other realtors and 6 years george was able to sell our home for top price. escrow was inititated within 2 weeks after placing it on the market.george has the uncanny ability to analyze ones needs and support you without putting his needs first throughout the process. he is able to think outside the box to adjust to an ever changing market and its requirements, as opposed to offering a cookie cutter approach to marketing. highly recommended. Sold a Single Family home in 2011 for approximately $900k in Palos Verdes Estates, CA. George Fotion was highly recommended to us by a close personal friend and we are so lucky to have been introduced. George is a phenomenal real estate broker. He is super knowledgeable of the real estate market and a very hands-on professional. He helped us sell our home in Palos Verdes Estates and he took care of all the details while we were living in the San Francisco bay area. He is an extremely great negotiator and incredibly efficient with every aspect of the process. If you are looking for the best and a pleasant and seamless experience on your journey to buy or sell a home, look no further, George Fotion is the perfect person for the job. We highly recommend him for any real estate needs. Sold a Single Family home in 2010 for approximately $900k in Rancho Palos Verdes, CA. George represented us both in buying and selling a house in RPV. We have purchased and sold a number of houses in several states and, as a result, we have worked with a good number of realtors. George is by far the best. His service is unbeatable, his market knowledge is spot on, and he is a fantastic negotiator. We simply cannot say enough good things about him. If you are looking for a top notch broker to help you buy or sell, we highly recommend that you contact him. Bought a Single Family home in 2010 for approximately $3450k in Rancho Palos Verdes, CA. George has a passion rarely seen in any business. He has his finger on the pulse of the local real estate market and continually shares that information to keep all informed. I am very comfortable referring anyone to George for their real estate needs. I know the man for over 10 years.He was my agent on my last purchase.He is very hard working professional and honest.I found George to be very easy and pleasant to deal with. “George is professional, knows the Palos Verdes area and can help you with any question/concern you may have. It was a pleasure working with George as he made the transaction of buying a home painless. “I have never dealt with a better real estate broker. George’s integrity is unmatched. He works extremely hard, doesn’t let things slip through the cracks, is very personable and really knows his business. He gets an A+ rating from me. George has been incredibly helpful to us with providing data so that we could re-finance. He is always up to data with his market analysis. George responds quickly to e-mails and always has a positive attitude. We would recommend using George for any real estate needs. I am a long term resident of the southbay and have worked with George on a few deals. I am in real estate myself and usually work with very aggressive commercial brokers. George is just the right amount of balance between aggressive-ness and nurture. He does not take no for an answer and will break down the hurdles needed to get the deal done, often sacrificing his own personal time and money to help things move forward(he even answered me call when he was on an Easter vacation). He is very knowledgeable on the area, often calling on local residents for off-market deals when i am interested in a house. In addition, he will inform me when he believes my offer was over what the market demanded. There are a great deal of real estate agents in the southbay, however, most are unable to close the deal and get things done. A lot promise more than they can deliver and then you are left sitting in limbo. George, was able to close a short sale deal for me with over 20 offers, where I was not the highest offer. If that is not masterful, i don’t know what is. I would say when you choose an agent, make sure the following: 1. you have a good connection because you may hit conflict and you want to work with someone you are comfortable with and a guy who works forward toward a solution, not just asks you to sacrifice 2. ask the agent for their closing numbers if you are listing/buying your property 3. if you are looking in a specific area, make sure the agent is well connected because he will be able to hear the news before it is public. I would say George accomplished all three for me wonderfully. He has helped me find houses as low as $500k (in PV!!!!) and as high as $6m. He delivers what he promises and will even help you understand your investment return if you are buying an investment property. I would highly recommend George and am currently working on finding another house with him. George is wonderful to work with. Extremely responsive, always available and knows the market. I highly recommend George! I have worked with George both personally and professionally and have a high regard for his skills as a realtor and knowledge of the Palos Verdes Peninsula. If you’re considering property in PV, I would highly recommend George. Dan Ascani, President, Global Market Stategists, Inc.
Wendy Bond, Owner, Guaranty Escrow, Inc.
Jim Maxwell, Vice President-Investments, Oppenheimer & Co.
George helped us find our first house. He is very knowledgeable about the local market. We were very impressed by his negotiation skills. It took us a while to find the house. During the process, he was always very patient, never pushing. He always responded to our request and inquiries right away by phone, email, or text messages. Even after buying the house, we sometimes still contact him when we have house-related questions. He’s always there to help. Thank you, George, for the great service!